Good quality homes are essential to the wellbeing of every community, helping to promote harmony, security and prosperity. ‘Creating great homes and supporting communities’ is our mission, which lies at the very heart of our existence as we aim to provide places people can afford and are proud to live in, plus a range of services to residents and the wider community that help to build safe and successful neighbourhoods. 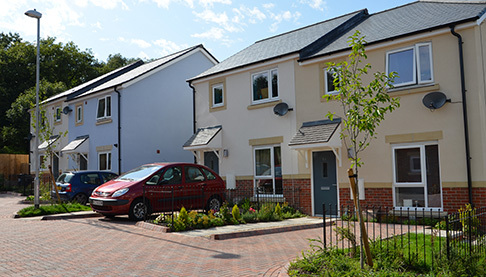 Two Rivers Housing is an independent not-for-profit organisation based in the beautiful Forest of Dean, with a £22 million turnover. In 2003 we took on the properties previously owned and managed by the district council, and now we own more than 4,000 homes across Gloucestershire and Herefordshire. The rent on a Two Rivers home is typically 20% less than a private landlord would charge, making it a more affordable option for many – particularly important in a rural area where employment prospects are limited, wages are low and transport and living costs can be high. Our homes are a mix of modern and traditional properties that meet current standards of heating and insulation, and benefit from a rolling programme of refurbishments and upgrades. Energy-efficiency and sustainability are key features. As a registered charity we don’t have any shareholders, so any surplus money available at the end of the year goes straight back into funding more homes, services and community projects. We support neighbourhood initiatives and local groups, helping them to provide community activities and amenities. We support community regeneration projects that bring people together to promote prosperity and wellbeing through achieving new skills and qualifications, finding work and setting up business opportunities. We have subsidiary businesses called Centigen Facilities Management, TwoCan estate agency and Two Rivers Developments (trading as Tandem Living), providing services to ourselves and external clients, and gifting all profit to Two Rivers Housing to invest in homes and services. We use local suppliers and contractors wherever possible to support those who live and work in the area to reduce the miles travelled and, therefore, our carbon footprint. We run an active – and award-winning – apprenticeship programme to train young people for careers in office skills, construction and craftsmanship.